7-7-7 for me was a day at Bar camp. The camp was hosted at Persistent systems. Being a part of the organizers, I planned to reach there at around 9. Although early showers in the morning delayed my plans and was there at around 9:30. Things had already started moving. The registrations had begun and the campers (participants) were enjoying early morning "Poha" with "chai". It was good to see people praising your campus and canteen and everything. The sessions started at 10:30. It was good to see that all the 3 tracks were almost packed before 10. I went and attended throughtworks presentation on "Fractuals and Complexity". I really wondered before the session what is this guy suppose to talk about since I did not have any head or tail of the topic. But that was one thing that attracted me to attend the session and I enjoyed it. The theme behind the session that everything that nature designs is not complexity but rather simplicity. The trick is to figure out the applied algorithm which could may be iterative or repetive and they could really create complex structures. It was good to see people and companies exploring such mathematical and different ideas. I also heard that TVGuide.in session which was running in parallel to this track was also an innovative concept and the teams had fun interacting with the speaker. The next presentation by Adaitya Thatte about microsoft's silverlight product was also informative. Meanwhile I also had discussions regarding the new co-operative IT concept with Ajay. This was again and interesting thing, which co-incidentently I was also thinking about sometimes before. It was lunch time by then and we had a delicious lunch in Vinod and Priyanka's company. There was yet again an interesting session regarding "How to open start-ups in US, UK and India" by Rohas from Techturis. Rohas talked about some really interesting tricks and points which only a lawyer can think and analyze. We had freeman talking about "Open source education" after that. Freeman discussed about the open source communities initiatives in reaching to masses with quality training through. I found this concept also catchy and would definitely like to contribute to the same. I also had a talk with Puja from marketwala.com meanwhile where she talked about how marketwala operates and interesting revenue models. Anand from persistent also presented his idea of BLogger which was really an application in itself. Seems like he is triggering the semantic web concept and taking it to production :-). Had a good time with the organizers too. All of them Kiran, Jatinder, Atul, Rohit11 (yes this is what his name is and we had a good debate on this :-)) all of us had interesting discussions and information sharing. I would say, Barcamppune3 was a hit.....Enjoyed the day. Had my experience of the first blog/bar camp on saturday. It was really an unconference. However it would have been real cool without those product promos. Rest all was lovely, unique and fun. My day started there at around 8:45 (one of the few early birds) when the things where just about to start at the venue.....I met sanket, a self-boss. Mechaninal engineer by profession and loved IT guys.. cool...good to know ppl still love them :-). The event was getting delayed but I had fun meeting and talking to ppl... there were these gupshup guys who were in true sense the gupshup dudes :-)... Thakkar and the gang were interesting to talk to and we had some nice talks. crowd started pouring in and it was fun to watch different sizes (since we were also distributing t-shirts :-))... Among the unique ones where melody, sakshi and divya uttam who made that presence felt instantly....after about an hour, I started talking with ppl in the audi and met eklavya the watconsult guy... he was also interesting and I had already made up my mind to talk to one/all of these guys. He gave me some interesting information and details. This is sure to make you shed tears. done with perfection.Yet my son, Shay, cannot learn things as other children do. He cannot understand things as other children do. The father continued. "I believe that when a child like Shay, physically and mentally handicapped comes into the world, an opportunity to realise true human nature presents itself, and it comes, in the way other people treat that child." Shay's father approached one of the boys on the field and asked if Shay could play, not expecting much! The boy looked around for guidance and few boys nodded approval, why not? So he took matters into his own hands and said, "We're losing by six runs and the game is in the eighth inning. I guess he can be on our team and we'll try to put him in to bat in the ninth inning." Surprisingly, Shay was given the bat. Everyone knew that a hit was all but impossible 'cause Shay didn't even know how to hold the bat properly, much less connect with the ball. However, as Shay stepped up to the plate, the pitcher, recognising the other team putting winning aside for this moment in Shay's life, moved in a few steps to lob the ball in softly so Shay could at least be able to make contact. The first pitch came and Shay swung clumsily and missed. The pitcher again took a few steps forward to toss the ball softly towards Shay. As the pitch came in, Shay swung at the ball and hit a slow ground ball right back to the pitcher. The game would now be over, but the pitcher picked up the soft grounder and could have easily thrown the ball to the first baseman. Instead, the pitcher threw the ball right over the head of the first baseman, out of reach of all team mates. Everyone from the stands and both teams started yelling, "Shay, run to first! Run to first!" Never in his life had Shay ever ran that far but made it to first base. By the time Shay rounded towards second base, the right fielder had the ball, the smallest guy on their team, who had a chance to be the hero for his team for the first time. He could have thrown the ball to the second-baseman for the tag, but he understood the pitcher's intentions and he too intentionally threw the ball high and far over the third-baseman's head. Shay ran toward third base deliriously as the runners ahead of him circled the bases toward home. Shay reached third base, the opposing shortstop ran to help him and turned him in the direction of third base, and shouted, "Run to third! As Shay rounded third, the boys from both teams and those watching were on their feet were screaming, Shay, run home!" We all send thousands of jokes through the eMail without a second thought, but when it comes to sending messages about life choices, people think twice about sharing. The crude, vulgar, and often obscene pass freely through cyberspace, but public discussion about decency is too often suppressed in our schools and workplaces. If you're thinking about forwarding this message, chances are that you're probably sorting out the people on your address list that aren'for the appropriate ones to receive this type of message. Well, the person who sent you this believes that we all can make a difference. We all have thousands of opportunities every single day to help realise the natural order of things." So many seemingly trivial interactions between two people present us with a choice: Do we pass along a little spark of love and humanity or do we pass up that opportunity, leaving it andmaking the world a little colder in the process? A wise man once said "every society is judged by how it treats it's least fortunate amongst them". Dec 1, 2 – 2006. I was at a Java Conference No; it was neither in the US nor at Europe. Guess what, it was in India at amacha pune. IndicThreads.com did a fantastic job of hosting a Java Conference for the population which today writes real java code for a lot of fortune 500 companies. I was also impressed by the objective Harshad had out of the conference. He talked about the fact that although Indian IT industry is a strong force of lacks of IT professionals, we lag in developing world class products or very strong open source contribution. Its time the Indian IT industry and the developers to start taking this seriously and start innovating. The two day sessions were fun. It included a lot of information, technology, frameworks and discussions. It was interesting to see people bashing and appraising every other technology very hour. If EJB 3.0 was a hit now, you might see someone really hitting it hard the next hour and pitching in for spring. The hour after that you find EJB 3.0 is back in the game… wow! The session on the first day started with Raghu talking about “Integrating BPEL workflow and business rules”. This also showed Oracle’s SOA capabilities to some extent. Atul kahate explained Enterprise Java Security thereafter. Atul was really clear and simple in explaining basics of security. There was a surprise show by Janaki Ram from Microsoft following that. I must admit that Janaki did a good job of throwing enough light on the .NET 3.0 architecture and salient features in the 45 mins. allocated to him. The next session was from Ramesh. I admired ramesh’s frank thoughts about SOA and web 2.0. The stage was then taken over by Debu. Debu is a real fun to listen to and explained EJB 3.0’s power to the community. Peter demystified spring for us the next. He also showed the JTrac open source project he worked on which was among the top 100 downloads on sourgeforge. Following that there was again an interesting talk about “Apache Geronimo” server by Kishore. Finally the first day session was closed by Harshad showing the fancy power of Groovy and Grails. The second day started with Hibernate Guru, Gavin talking about JBoss Seam framework and its advantages. Janak following the session explained about the Rich Internet Technologies and the methodologies to choose them. Gavin and Debu replied to queries regarding Java Persistent API. The session following that was by Sanjeeb who talked about the difference between J2EE and Java EE 5. He also showed a demonstration of Glassfish application server and developing and deploying applications over the same. Jitender Singh from persistent made a surprise entry replacing Jitendra to talk about ruby and rails. All in all the conference covered a whole gamut of technology, frameworks and servers. There were many things that a lot of them talked about in the entire conference. However the one common thing that I could extract out other than all the good technical stuff was that the IT industry is now showing signs of maturity. If we look at any traditional engineering stream they have a very strong engineering background. A 2-stroke engine for example is based on all the mechanical engineering fundamentals and the pipelines built do take care of the correct fluid mechanics fundamentals before design. IT applications, although uses some engineering principles were not strongly coupled with the engineering basics. Traditional engineering applications have a lot more process focus. Each and every application has well defined processes and clear flows defined to track the processes. The software applications developed do not guarantee such process focus. Traditional engineering applications are optimized for simplicity in implementation and undergo constant improvements. With business process managers, coming in a big way (BPM’s are not new, what’s new is the fact that they are getting popular and expanding horizons) there seems to be an alignment with the traditional process focus. The applications being built with processes are much more in sync with the actual business processes. This also gives the domain users understand the flow of the software application much easier then showing them some HTML prototypes of how the system will look like. The heterogeneous systems are getting more standards based which are again what the traditional engineering systems are. Components are becoming more loosely coupled and have clear interfaces. This allows real and easy plug and play support over various heterogeneous environments. This can further allow some components of a big system to be developed by company x whereas company y can develop other component and a company z integrates x and y. Automobile industry for example functions the same way in case of a traditional industry. There is a lot more focus on simplification of development. This gives the implementers an easy way to produce quicker outputs and better productivity. All this makes me believe that Information technology is maturing. It’s getting more aligned to the traditional engineering stream which is a welcome sign. On 22nd of this year, India will celebrate yet another festival of lights – Deepawali (Diwali). 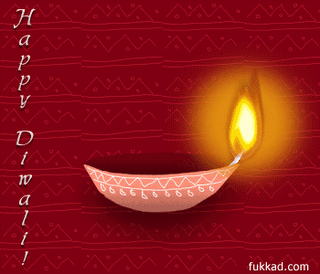 Deepawali as the name suggests is series of lamps. Entire Indian land seems as if the sky is turn around with stars twinkling in each and every house. The aerial view of the nation on this day is simply phenomenal. There are quite a few legends behind Deepawali. One saying is that God Ram started ruling Ayodhya from this very day and every one in the country was happy that good days were back. This also meant the birth of “Satyug”. Also goddess “Laxshmi” came to earth on this day and people lit lamps so that lakshmiji can enter their houses. This is also the day when Lord Krishna saved the innocent “Gokul” gwals and gwalins, from Indra and lifted “Govardhan”. People all over the country have a social get together and parties. They will celebrate the evenings with lots of fireworks. There will be all kind of sweets served. This land has a unique tradition of enjoying whatever small and beautiful thing that occurs. And there is a science behind everything and every celebration. People clean up their house during diwali. The essence behind this is, after the gloomy monsoon we enter into winter. Its time to clean up the things and we wrapped it up into a festival to do it happily. The same goes for many more Indian festivals. What better way a season of cold (winter) be welcomed than by lighting small lamps to make the whole atmosphere warm! This also marks beginning of a new harvest season and we begin this with distributing and preparing sweets…wow! I am sometimes amazed at the knowledge, creativity and innovation of our great grandfathers. They had everything we crave for today. They were far more knowledgeable far more creative and a lot more innovative than the best of lots today. However with globalization taking its toll the zeal and enthusiasm of these festivals is getting weak. I see more cards getting exchanged on Valentine day than on Diwali. Most of them might not know why we celebrate valentine day. The warmth of meeting the loved ones is declining. With distributed families all across the globe the greetings are nothing more than a telephone call. All is not lost yet though. The need is to feel the warmth of a relationship. Distance does not matter, what matters is the warmth of the feeling. Also understanding our culture and the reasons behind them will help associate us more with it. India posses a rich set of heritage and values. It is only when we continue to cherish these traditions and festivals, the heritage will remain intact. Let us celebrate this Diwali a totally Indian way.